Come in and say hello! Scheduling an appointment? Need flea or heartworm preventives? Our skilled staff is here to answer your questions and provide anything you may need. Look around the reception area for our specials or announcements for upcoming events. 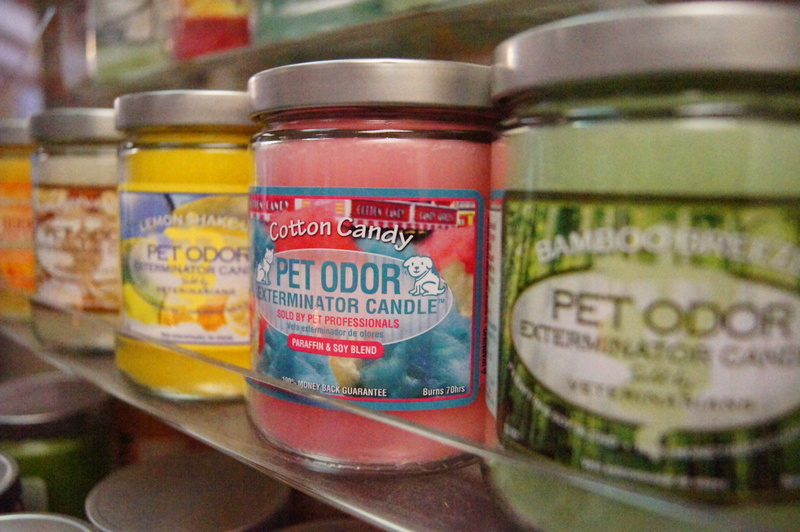 You might even smell one of our Pet Odor Candles burning on the counter. Pick out one of your own before you leave (the fall scents are our favorite). The veterinary technicians and assistants will be assisting the doctor and guiding you through your appointment or check-in procedures. Feel free to ask us any questions because we'll be asking you plenty! Our exam rooms are equipped with fold up exam tables, televisions (you might see "Snow Dogs" or "Marley and Me"), brochures on various products we carry and much more. Have kids with you? Ask us for coloring pages. If you have a new puppy or kitten, be sure to take home one of our kits to help you take the best care of your new friend. We treat your pet as if it was our own and we want everyone's experience to be a pleasant one. Behind our exam room is pharmacy followed by the treatment room and laboratory. 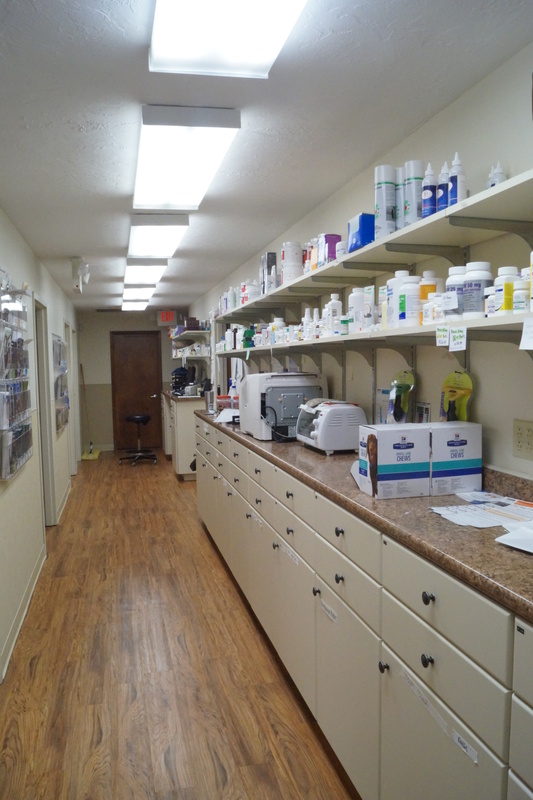 The treatment room holds most of our diagnostic equipment and medications to help provide the best care for your pet. Most of our laboratory samples are sent to an outside lab for specialists to review, so allow 24-48 hours for us to get back to you with results. Our in-house laboratory and radiology services allow us to analyze basic blood values before surgery, evaluate various skin and ear conditions with cytology and get quick results in emergency situations. Your technician may be bringing your pet back and forth between the treatment room and your exam room for diagnostics, treatments, weight checks and to get their picture taken! Please get comfortable and let us know if there's anything we can do for you or your pet. Country Critters' surgery suite houses a surgery table, dental table and monitoring equipment. Surgeries are performed Tuesday through Thursday during the week. We offer a variety of surgical services ranging from spays and neuters to more complicated procedures like abdominal exploratory and orthopedic procedures. Check out our surgery page for more information about what we have to offer you and your pet.